Welcome to your Florida retirement living specialist--Discover Florida Realty. Discover Florida Realty is dedicated to helping customers from across the U.S. and Canada find their "perfect" retirement home here in beautiful Central Florida. Central Floria offers retirment living at its very best... friendly uncrowded communities that are affordable, easy to maintain, and close to everything good about Florida living. 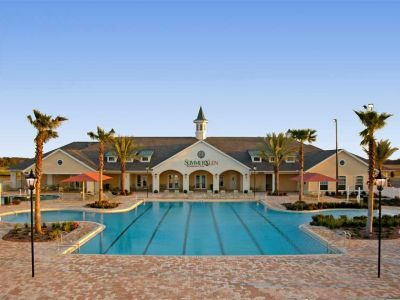 We invite you to check out our featured award winning retirement communities... SummerGlen in Ocala, Florida, and Legacy of Leesburg in Leesburg. Both of these communities offer their own distinctive retirement lifestyles. 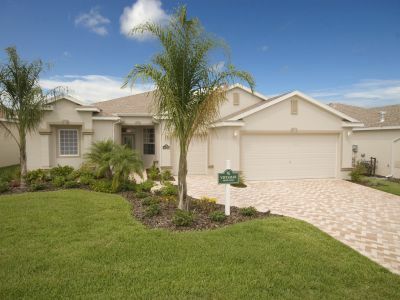 If you like, you can build your own custom retirement home through our premiere builder Florida Leisure Communities. Or select a resale home from our featured listings on this website. We also offer a full range of home remodelling services for both our home buyers and sellers, through Florida Leisure Communities remodeling division FLC Remodel. Through FLC Remodel, our agents can assist you in sprucing up your home for sale or in renovating a recently purchased home... all with minimal inconvenience and outstanding value. If your selling or purchasing a home in a Central Florida over-55 community, Discover Florida Realty really is the "Best Choice." Give us a call today to learn more about our many services we can offer you.